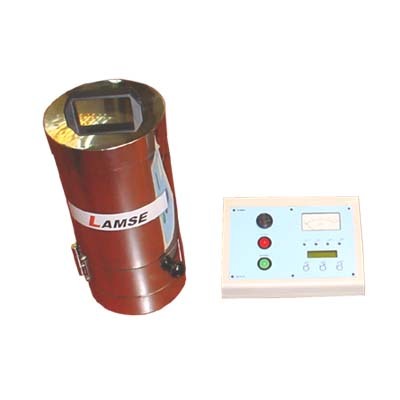 LAMSE designs, develops and manufactures instruments for detecting and measuring the ambiental radiation and the radioactive contamination. In field and according to the application, different requirements can be needed. Among our products there are instruments to detect and measure different kinds of radiation and particles (alpha, beta, gamma,...), handheld, stationary, compact, multiprobe, with or without data register, etc. Please, contact us if you have any question about our products or you need advise about what is the most appropiate instrument for your application. The ERiS2-M/G and ERiS2-R are the last models to join our portfolio. They are handheld and lightweight monitors for detecting and masuring different types of ionizing radiation. 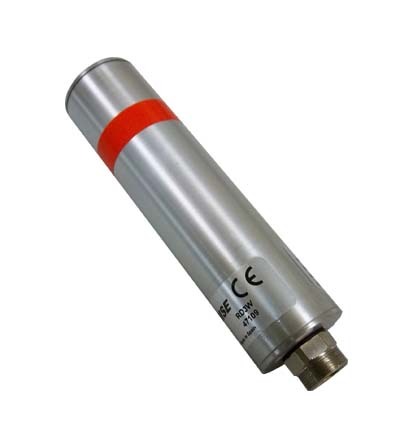 The ERiS2-M/G is a multisonde monitor in which ambient radiation and radioactive contamination probes can be connected. The RD1W and RD2W are the last models of probes to join our portfolio. The most important aspect of these models is they are waterproof. They can be used outdoors in any weather conditions and, also, to detect gamma radiation under the water. These probes can be connected to the MS6020 multiprobe monitor, to the LAM35 module, or to the RM1001B-RD Area monitor. They are instruments designed to detect gamma and X-Rays radiation, measuring dose rate and accumulated dose in International System units (Sievert, Sv). If a small and compact instrument is required then the Eris1R and Eris1D are appropriate. If a more complet and versatile instrument is needed then the ERiS2 will adapt to those requirements. The RM1001B-RD is an Area monitor with a built-in Alarm Beacon. 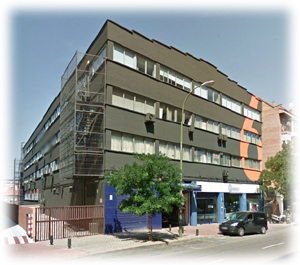 Is is available a model with data memory with the possibility to form a measuring network. The RM1001B-M0 has a very high sensibility to detect any gamma source in packets, bins, persons, etc. Other models are the RM1001-RD and the LAM35. This last one allows the measure with four sondes simultaneously. They are instruments to detect and measure alpha, beta and gamma radioactive contamination. In general these instruments in counts per second unit (CPS), although there are models with a small isotope library to measure in units of Activity (Bq) and superficial Activity (Bq/cm²). If a small and compact instrument is needed, then the Eris1C is the most appropriate. But the Eris1D will adapt to the requirements better, if it is also needed to measure the ambiental gamma radiation. 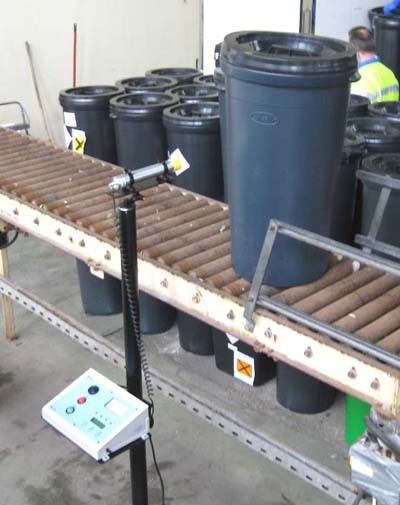 The ERiS2-M/G monitor and its sondes for contamination allows to check surfaces and to search for radioactive sources. 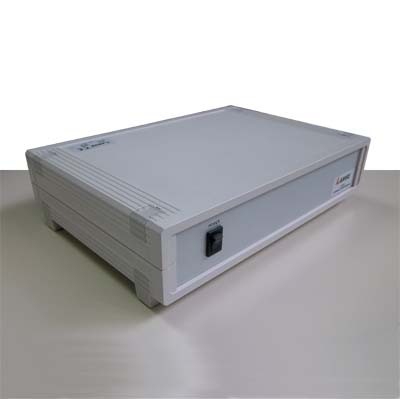 The RM1001-CT is a portable and desk monitor with a window detector of 15 cm², very appropriate for laboratories. It has some options of detectors. Sometimes it is necessary to measure the ambiental radiation level at different localizations or to check possible radiactive contamination in surfaces, tools, etc. so that portable instruments are required. The Eris1 models are the most small and compact in this catalogue. The ERiS2 multiprobe monitor and its interchangeables sondes make a very complete and versatile measuring portable system. The RM1001-CT and RM1001-RD are portable and desk monitors, very appropriate for laboratories. It has some options of detectors. 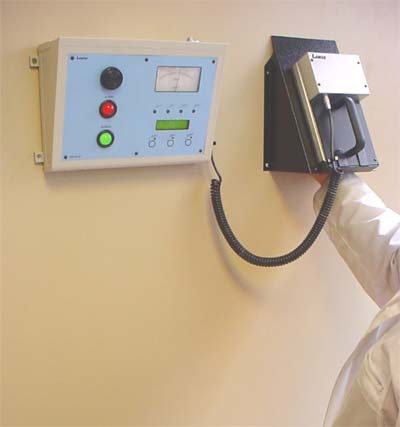 The Area or stationary monitors are designed to measure the level of radiation at a localization. The RM1001B-M0 is a monitor very easy to move which has a very high sensibility to detect any gamma source in packets, bins, persons, etc. The RM1001B-CT is an Area monitor to detect radioactive contamination. The special designed wall-holder, for the probe of great detection area, allows to check the hands without touching the probe and avoiding in this way possible contaminations. 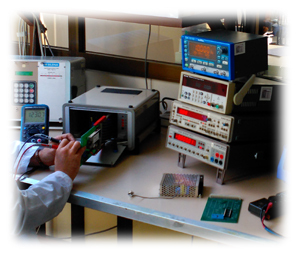 Measuring equipment that can be connected to various sensors which can be interchangeable, or for simultaneous measurement at different points. The Multiprobe monitor ERiS2-M/G and interchangeable probes make a complete and versatile system. It has radiation probes with different ranges and sensitivity, and probes of different sizes and contamination detection capabilities. 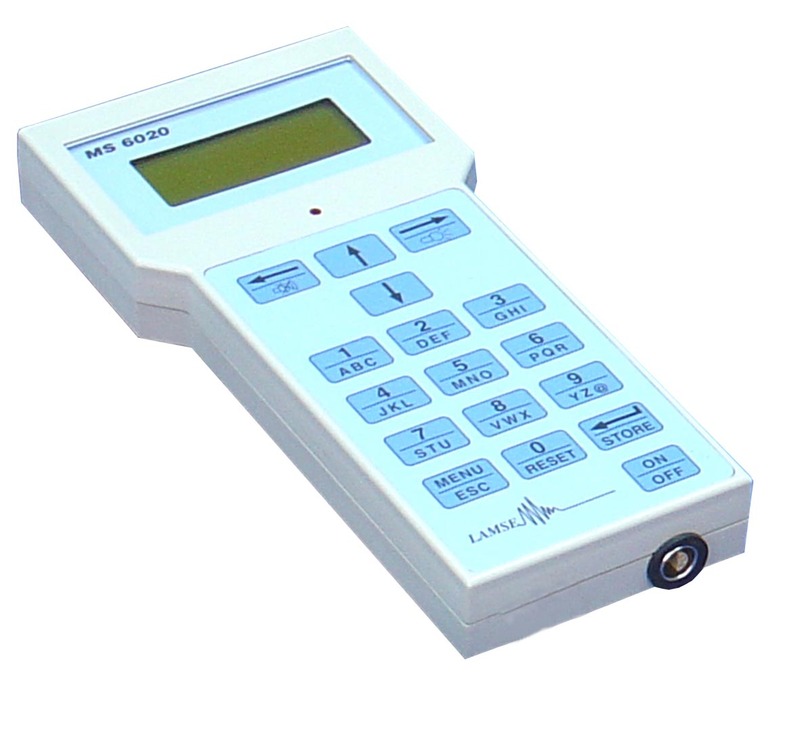 The measuring module LAM35 allows connection of up to 4 probes for radiation measurements simultaneously. In some applications it is necessary to record the measurements obtained for further computer analysis, or to monitor the measuremets on-line, etc. The Multiprobe monitor MS6020 and interchangeable probes make a complete and versatile system. It has radiation probes with different ranges and sensitivity, probes of different sizes and contamination detection capabilities. 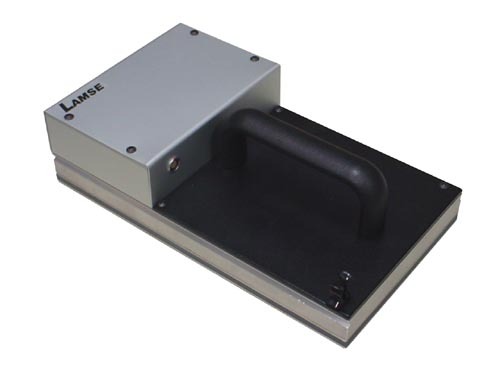 The LAM35 measuring module allows connection of up to 4 probes simultaneously for radiation on-line measurement and register in PC. 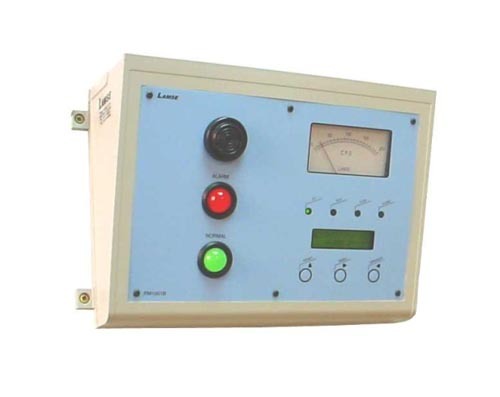 The RM1001B-A0 is a system consisting in a analogic and digital counter-timer. The measuring mode is "contaminated / not contaminated" and it uses a very high sensibility probe with a scintillation detector and a shield of lead to reduce the backgound and the minimun detectable radioactive activity. Although the ERIS2-M multiprobe monitor, the RM1001-CT, and the RM1001B-CT are not specific to this, they can work as a counter-timer to be able to measure frotis in field. The ERiS2-R is a handheld, small and lightweight radiation monitor. 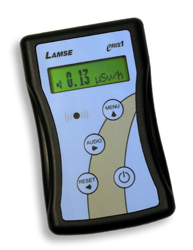 The ERiS2-M/G is a handheld radiation multisonde monitor. Internal detector and external sondes. The Eris1R is a handheld, small and compact, radiameter/dosemeter to detect and measure Gamma and X-Rays radiation. 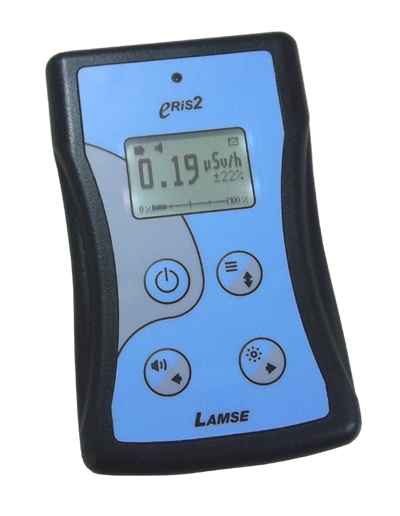 The Eris1C is a handheld, small and compact monitor to detect Alpha, Beta, Gamma radioactive contamination. The Eris1D is a radiameter with duality. It's an alpha, beta and gamma radiactive contamination monitor, but also, a gamma and X-Rays radiation monitor. The MS6020 is a handheld multiprobe monitor that has different models of external probes to detect and measure radiation and radioactive contamination. Measuring module where up to four probes can be connected and measure simultaneously. Portable radiation monitor with optional probes. It can be installed on wall. 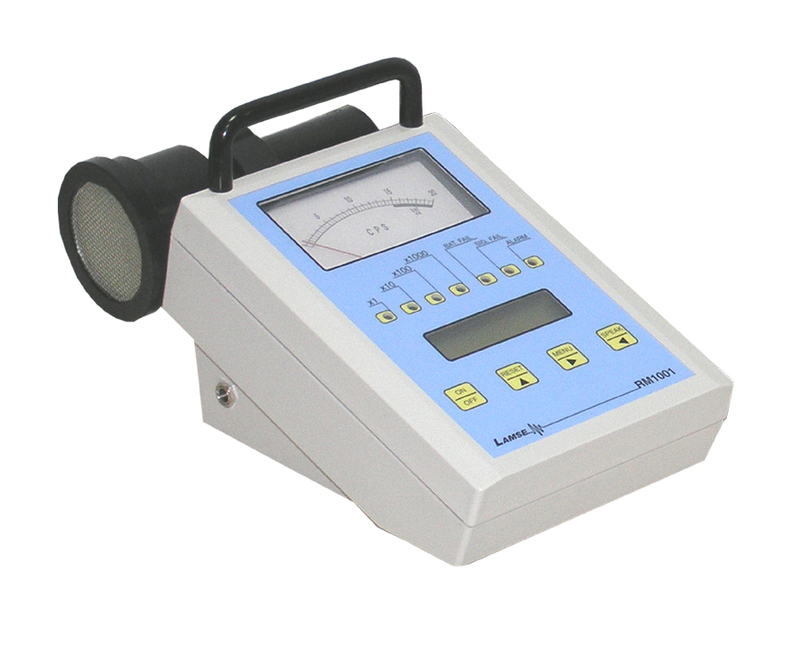 Alpha, beta and gamma superficial radioactive contamination monitor with optional probes. The RM1001B-RD is an Area monitor to detect and measure gamma and X-Rays radiation. It has an alarm built-in beacon. Optionally, data can be recorded and downloaded to PC, or on-line registered. 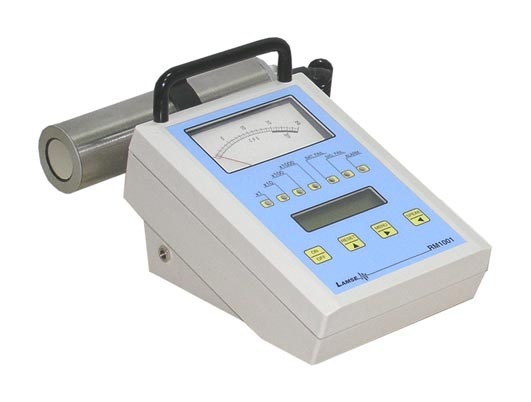 The RM1001B-A0 is a counter-timer which measuring mode is "contaminated / not contaminated" and it uses a very high sensibility probe and a shield of lead to reduce the backgound and the minimun detectable radioactive activity. 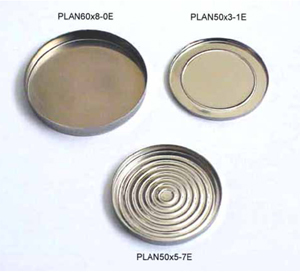 Stainless steel sample holders for radioactive samples.